According to the Bank of Canada (BoC) Quarterly Business Outlook Survey, there is an increased sense of optimism among businesses in Canada. Various economic indicators have reported gains, especially with regards to future sales and future-oriented investments. Over time, we have seen strong sales growth figures. Majority opinion indicates that there has been little change for 7 successive quarters. Overall, sales sentiment projected over the next 12 months remains positive, albeit at a lower level. A strong resurgence in crude oil, natural gas, and related energy activity has boosted the CAD, and bolstered a strong sales outlook. The investment outlook among firms is particularly positive at a figure of +35. This is currently at record levels. The number of companies looking to reduce their investment spending has declined for the fourth successive quarter. Regardless of economic sentiment, the Bank of Canada reported that most companies expect only a modest increase in spending in 2017. Companies across the board are looking to increase their staffing contingent in a big way. Most of those polled (64%) expect inflation to hover between 1% – 2% between 2017 and 2019. Approximately 30% of respondents are expecting inflation to grow in the range of 2% – 3%. How is Canadian Economic Activity Affecting Loans? 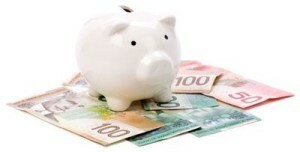 The current economic climate in Canada is conducive to loans. When interest rates are low, it is far more cost-effective for businesses to invest with borrowed money. The interest repayments are lower, and the expectations of rate hikes are modest. Just recently, the BOC provided details of its Senior Loan Officer Survey. Business lending conditions have effectively remained unchanged for 3 quarters. This points to further stability in aggregate economic activity. Non-price conditions and price conditions were effectively unchanged, and credit demand saw a surprising change in Q1 2017. The capital markets have been a prime resource for corporate borrowers, while traditional bank loans have seen a slight tapering. The process of applying for SBA loans requires a little legwork. The lowest rates on SBA loans (long-term, low-interest small business loans) are available to those who meet stringent criteria. These government-backed loans require that the applicant has 2+ years in business, a minimum credit score of 640 and revenues of $100,000 +. These types of loans offer a multitude of benefits to Canadian businesses and corporations, including affordable interest rates, long-term payment options, minimal down payments, and a wide range of applications. On the flip side, SBA loans may require additional collateral, significant paperwork, and a longer approval time. When compared to other types of loans, SBA loans are available in as little as 3 weeks. The average interest rate hovers around 6.5%. Term loans can provide funding within 2 days, but the average interest rate is markedly higher at 7% on the low end and 30% on the high-end. There are other forms of business credit which are available to investors in as little as a day, but the interest rates are equally high (ranging from 7% through 25%). Other options like short-term loans offer immediate cash with interest rates starting at 10%. While the minimum requirements are pretty low for SBA loans, most of the customers who were approved for these types of loans were in business for 4 years +, had a credit score of 680+ and had annual revenues of $180,000. « Should You Invest With A Robo Advisor?